August 19, 2011  Friends of the former senator and Democratic presidential candidate say he could not afford Skadden, Arps, Slate, Meagher & Flom, NPR's Nina Totenberg reports. August 17, 2011  In the coming term, the Supreme Court is expected to review President Obama's health care law. With that in mind, some interest groups are raising questions about the court's ethics rules that govern when a justice should be disqualified from a case. 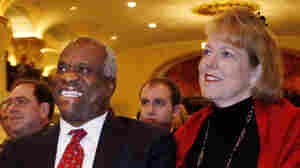 Should Justice Clarence Thomas have to recuse himself because his wife has actively and publicly opposed the health care law? Or, should Justice Elena Kagan disqualify herself because she was a top legal official in the Obama administration when the law was enacted? August 17, 2011  A legislator has introduced a bill that would make the judicial Code of Conduct, which applies only to lower federal court judges now, binding on the Supreme Court. Still, some experts argue that the high court doesn't need a change in its ethics policy. August 12, 2011  A federal appeals court in Atlanta has ruled against the individual mandate contained in the new health care law, saying it is unconstitutional to require citizens to buy health insurance. July 15, 2011  Judge Reggie Walton has declared a mistrial in the Roger Clemens case. Walton ruled that prosecutors had indelibly tainted Clemens' ability to get a fair trial by exposing the jury to inadmissible evidence. Clemens was on trial on charges of lying to Congress about using performance-enhancing drugs. July 14, 2011  Judge Reggie Walton ruled that prosecutors had indelibly tainted Clemens' ability to get a fair trial by exposing the jury to inadmissible evidence. Still unresolved is whether prosecutors will get a second chance at making their case in front of another jury. July 14, 2011  The seven-time Cy Young Award winner faces charges of perjury and obstruction of Congress — which carry a maximum penalty of 30 years in prison. The prosecution says it has physical evidence against the baseball pitching star, but Clemens' attorney contends the evidence is fake. July 13, 2011  The seven-time Cy Young Award winner faces charges of perjury and obstruction of Congress — which carry a maximum penalty of 30 years in prison. The prosecution says it has physical evidence against the baseball pitching star, but Clemens' attorney contends the evidence is fake. July 7, 2011  Humberto Leal Garcia's lawyers said police violated an international treaty by not telling Leal he could contact the Mexican consulate after his arrest. The Obama administration had asked the court to delay the execution. July 1, 2011  Observers without exception see a conservative arc at the Supreme Court hostile to litigation, especially litigation that seeks to regulate business practices by holding companies accountable in court for their actions. Next term, the court is expected to take on health care overhaul, affirmative action, immigration and possibly gay marriage. June 29, 2011  The decision by the Cincinnati-based court took on a special importance because one of the judges upholding the law, Jeffrey Sutton, is a prominent conservative. As a litigator, he made modern states' rights arguments in the U.S. Supreme Court. 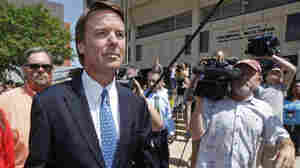 But in this case, he rejected similar arguments in the context of the national health care law. June 28, 2011  The Supreme Court has struck down California's law that banned the sales to minors. The divided court said the games are covered under First Amendment guarantees of free speech. 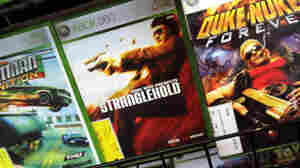 The state had said studies showed the games make kids more violent. June 27, 2011  The Supreme Court has struck down a California law that bans the sale and rental of violent video games to children. In a 7-2 vote, the justices ruled that the law was unconstitutional and that it violated the free speech rights of children. June 24, 2011  The U.S. Supreme Court handed the pharmaceutical industry two major victories on Thursday. In one case, the court struck down a Vermont law that barred the buying, selling and profiling of doctors' prescription records. And in the second, the court ruled the makers of generic drugs are immune from state lawsuits for failure to warn consumers about possible side effects as long as they copy the warnings on brand-name drugs. June 23, 2011  In one case, the court struck down a Vermont law that barred the buying, selling and profiling of doctors' prescription records. And in the second, the court ruled that the makers of generic drugs are immune from state lawsuits for failure to warn consumers about possible side effects as long as they copy the warnings on brand-name drugs.